This has been a very big year, both for us and in the general SharePoint world. We have seen SharePoint 2013 arrive and new ideas, architectures and way of working with it. When I started at Sharegate in February of 2012 and really started in Summer 2012 with my first SharePoint Saturday, I had made myself a promise. To always, as much as possible, write content that would help out others by "simplifying" SharePoint as much as I could and help in any way that I could. Even though Sharegate is a Migration Tool for SharePoint, I would write about all things SharePoint. It's been an incredible year, but before I look back on 2013 and things to come in 2014 let's look at our Top 10 SharePoint Blogs this year. This articles explores the new possibilities of Search in SharePoint 2013 and the new Content Search Web Part. Of course, if you've been following my articles, you may have come to realize that the Search Results Web Part and the Content Search are very similar except for a few things. This article shows how to roll up your SharePoint Sub Sites and display them the way you want with Display Templates. As part of a SharePoint Migration to SharePoint 2013 series, this article shows off what won't work anymore and things you should watch out for. You can count on losing your branding for example, but what about the rest. This was the last article in the Migration series, I recommend you start from the beginning if interested as it will help better understand the reasons your SharePoint Migration might not work so well. And there's tons of tips and tricks. A good overview by my colleague Yohan Belval on the new features and changes to SharePoint 2013 Analytics. It has now a strong integration to the Search Engine, which influences our Results. If you want to see what you can do and how you can leverage it quickly, then this is a great article. A very popular post, especially when SharePoint 2013 first got released. Everyone wanted to know exactly how they could upgrade and if they fell in the "Supported Upgrade" methods. Personally, comparing how upgrading from 2007 to 2010 was, I believe Microsoft did a great job with the Deferred Site Collection Upgrade. Though you can only migrate from 2010 to SharePoint 2013, this method allows Site Collection Administrators to preview a real Upgrade of their Site Collections before committing to it. Another great article by Yohan Belval, this time building a Display Template for the SharePoint 2013 Search Results Web Part turning the results into an Image Slider. The files are available for download making this a great addition to your Out of the Box Display Templates, but be sure to follow the instructions in the article as the files need to be in a very specific location. This is just one example of what is possible with SharePoint 2013 Search and Display Templates. 5. SharePoint Columns, Site Columns or Content Types? After speaking at a few SharePoint events, I realized that many were just beginning to explore SharePoint. And before we can start talking about complex solutions or architectures, it's important to understand the basics properly. The aim of my article is to explain the differences, advantages and disadvantages of creating Columns vs Site Columns and then a quick overview on Content Types. This article is a must for anyone looking to start or better understand SharePoint. We've seen that the only supported scenario to migrate your SharePoint to 2013 is to do a Database Attach upgrade from 2010 to SharePoint 2013. In this article, Louis-Philippe Lavoie shows you step by step how do do the actual migration. He even shows what he learned from doing it himself a few times. There is also a good follow up article on monitoring and troubleshooting the actual migration. I quickly realized I did not understand the Search Settings in the Site Actions menu of a Site or Site Collections administrator of SharePoint 2013. A lot has changed, even though it may not have seemed like it at the beginning. In this article, I explain all of these Search Settings as well as the drop down menu on your SharePoint Sites. The thing about the drop down menu, is that as soon as we would edit it, we would lose the original scopes or "Result Sources". Some very valuable comments below the article as well. I had no idea how popular this blog post would become, but it was clear that no one understood what SkyDrive Pro actually was. It first became clear to me when I heard "SharePoint Experts" completely miss the mark when explaining it. The big problem is that Microsoft already had a public offering called SkyDrive, which has nothing to do at all with SkyDrive Pro. 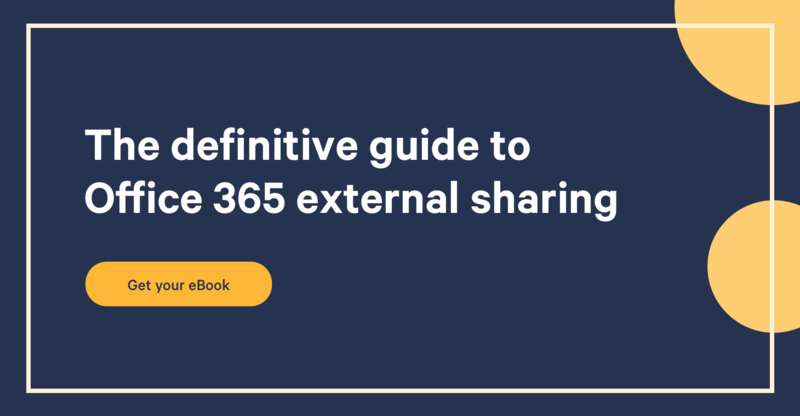 I understand the Marketing idea behind it and the roadmap of Office 365 trying to compete with services like Dropbox and other similar services. The problem is that, though it did a great job marketing wise, when it came down to use it no one really understood what it was. This article goes into much detail explaining exactly What is SkyDrive Pro in SharePoint 2013. 1. SharePoint 2013 SkyDrive Pro vs Dropbox -And why is it better? Needless to say, this has been a very big year for Sharegate. With release after release, migrating lists and libraries all the way to entire Sites and Site Collections, Exporting from SharePoint, increasing speeds when migrating (especially with Office 365), our Just Damn Simple videos, Sunglasses, Hats and many more... It's great to see Sharegate grow into this great company. When looking back, it's incredible to see all that has been accomplished in just under a year. We got to know the United States quite a bit with all the SharePoint Saturdays and Conferences we have either sponsored or I have spoken at. The real shocker was when I counted the SharePoint Saturdays I have been to in the last 12 months...17. Wow! That's more than the number of months in a year. That's why I cannot even begin to express my feelings when I received the MVP Award this year, it really is great to see your hard work noticed and appreciated. Personally, the greatest reward this year were the friendships made with the great folks in the SharePoint Community. I would not even attempt to start naming names, because it is a guarantee I will forget a few and you would simply lose interest in this article as the list would go on and on. On a more technological side of things, we've seen a lot of changes this year and I believe it is just the beginning. SharePoint 2013 arrived and with it, the focus on Search-Driven Content, Social interactions with our content and a focus on Client-Side development. I think the biggest impact was the purchase of Yammer by Microsoft and the impact it has had on the SharePoint community and especially for businesses everywhere. Companies are starting to evaluate and look into bringing Social features in their organizations. But many are worried about the return as it is very hard, if not impossible to calculate. But we've seen this before haven't we? The arrival of personal telephones for everyone at the office, management was worried it would be used for personal calls and not work. Same thing when emails arrived and today, it's enterprise Social. I expect that in Q1 2014, when Service Pack 1 gets released for SharePoint 2013, many are going to look to migrate. It is often the case with Microsoft's release cycle, many companies have decided to wait it out for Service Pack 1 with bug fixes and performance improvements in many cases. The next question they will be asking themselves will of course be, should I do it in the cloud? Office 365 or Azure? I do expect many organizations, even larger ones with tighter policies to go to the cloud, but it will be in Hybrid mode. Let's face it, it is definitely cheaper to run SharePoint in the cloud with Office 365 than to manage all the servers it is required to run On-Premises. But of course, not all of our data can be in the cloud and it's not all features that are yet available, though we will see Office 365 quickly catch up and test out new features before releasing them to On-Premises. I can see organizations running My Sites and Team Sites on Office 365 and keeping business process sites On-Premises. There is definitely going to be a lot of talk around Social for the Enterprise that will continue to grow. The problem right now and still for a good start of 2014 is that there are no Experts in the matter with real world experience. Before I get grilled on this, of course there are few but it is hard to find this real world value passed the many blog posts that will be swarming the web. For us, it will be difficult at the beginning to differentiate the ones talking from experience and the ones preaching how to do Enterprise Social but that have never actually done it. In 2014, I will continue my quest to help make things simple and accessible with SharePoint. I have worked for a long time in IT, building infrastructures, setting up Active Directory, Exchange, SCCM and SCOM. A few years ago, I quickly realized that the world was going to the web and that we would stop seeing these heavy applications or infrastructures over time. That's when I made the move to SharePoint back when 2007 was released, but it was a transition. Today there is no denying that most of our applications, even the infrastructure management ones will be web based. It's important for us to adapt and learn these new skills. SharePoint is definitely the platform that will become the core on which everything will be built. If I could predict easily what is going to happen in the future, believe me I would be somewhere else. What I can see is a change in the way we work and we are right in the middle of it all. Social, Web-Based Platforms, HTML and CSS skills become almost a necessity, User Experience and Design becomes an important factor in a successful launch or adoption of a new application, subscription-based "On-Demand" applications are expected and a new generation is making its' way to the workforce. A generation that has not used emails and where instant and open communication is the norm along with a "do it yourself" approach. It'll be interesting to see the change that this will bring in 2014. Until then, I hope you continue to read our articles and don't be shy to interact or ask us questions. I am sure that 2014 will be as interesting, if not more as 2013 has been for us.